Nigerian afro pop singer, Wizkid who is currently signed to Sony Music Entertainment is about to release his long awaited album on July 14 2017. The anticipated album titled "Sounds from the other side" feauturing Drake, Chris Brown, Treysong, Wale and many other big artists has put many music lovers around the world on a read alert, because they can't just wait for the album to be dropped. 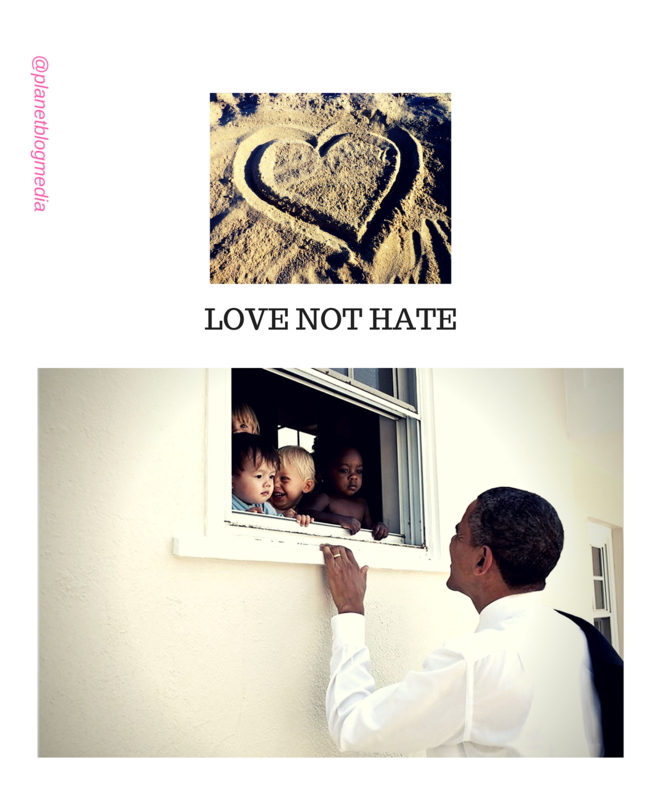 This album that is about to hit the billboard music chart is full of hits like party jams, R&B sound, Reggae, afro pop, Caribbean sound, love song for the Romeo and Juliet people and many more. Drake, Chris Brown, Wale, Treysong, Sony Music Entertainment all shares the album "Sounds from the other sides" on their Instagram pages with a caption "we can't wait for this album to be dropped" because they've already listened to the album and it was lit, hot, lovely and great. 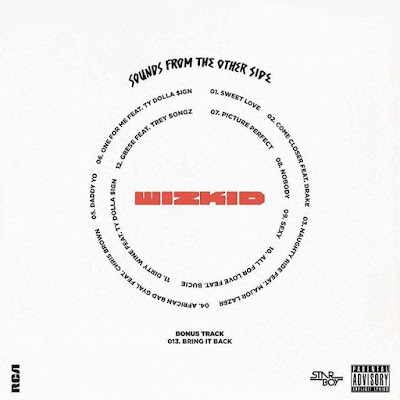 July 14 is all about my friend, my brother, my boy Wizzy who is dropping his anticipated album that is full of hits upon hits, party jams, reggae, African sound, caribbean sound, pop sound, R&B sound featuring big artists like @champagnepapi @chrisbrownofficial @wale @treysongz ,all packaged in one album titled "sounds from the other side" @wizkidayo .. This album is going to be distributed and marketed worldwide by Sony music entertainment @sonymusicglobal . Can't wait for the album to be dropped, it's gonna be bad like Jay Z 4:44. Please don't pirate this album if you don't want God to pirate your life.. In order to pre-order or order for the album, check @wizkidayo bio or @sonymusicglobal bio.. Wizkid, I wish you good luck on your new album packaged by number one music entertainment in the world @sonymusicglobal .. 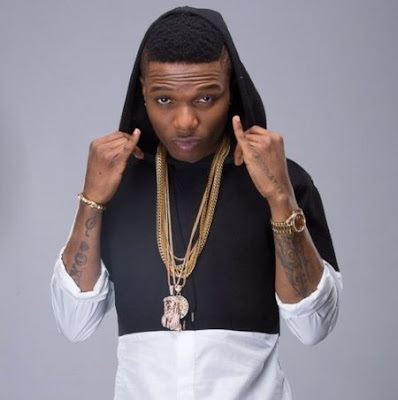 I am only a big fan of Wizkid.. God bless. 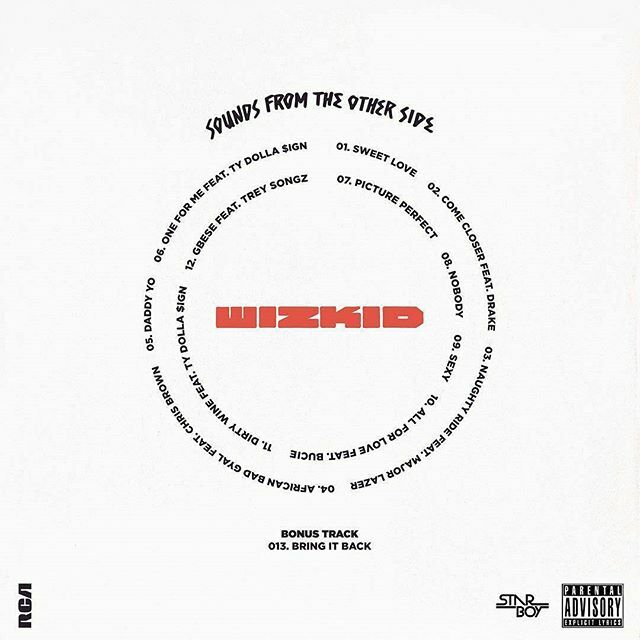 #WizKid's album #SFTOS is out July 14th 💥 What features do you want to see on the album? Sounds from the Other Side ! Congratulations to Ayo Balogun better known as Wizkid.